Whenever I see that a new Tom Cruise film is coming out I can't help but internally chuckle a bit. But it seems that these sci-fi, VFX-packed action films are the perfect match for good ol' Tom Cruise: Hello "Minority Report", "Mission Impossible", "War of the Worlds". (Irrelevantly enough, my case of A.D.D. does not allow me to get over the fact that he is 20 years my senior, yet he looks younger than me). 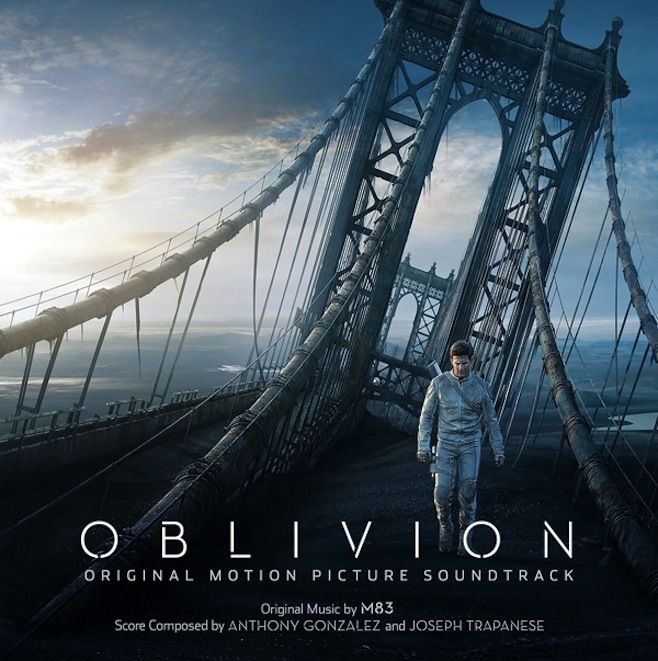 So, back to the reason of this post: The soundtrack to "Oblivion" was written by M83's Anthony Gonzalez and Joseph Trapanese who also worked with Daft Punk on the amazing "Tron: Legacy" soundtrack and from what I hear in the trailer and the already released title track (featuring the vocals of Susanne Sundfør), it will be as phenomenal as Tron.